From Bled we made our way to Kranjska Gora, an alpine area in northwestern Slovenia surrounded by the mountains and glacial lakes of Triglav National Park. After settling into our accommodation, we ventured out leisurely to check out some neighboring natural attractions. 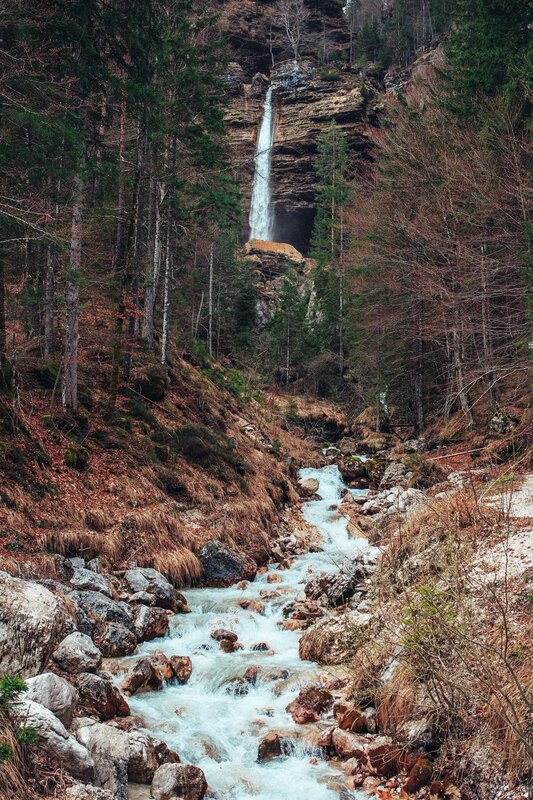 Pictured above is Peričnik Falls, one of the highest falls in Slovenia (and thats kind of saying a lot, Slovenia is basically one of the waterfall capitals of the world). Later on we checked out nearby Zelenci Springs, a nature reserve sporting some of the most brilliant emerald pools we had ever seen. Beautiful does not even begin to describe the sights we'd been lucky enough to enjoy thus far in Slovenia.